So with the big day that has come and gone, I can finally settle down to do a little bit of light reading and a quick catch up on what has been happening lately. 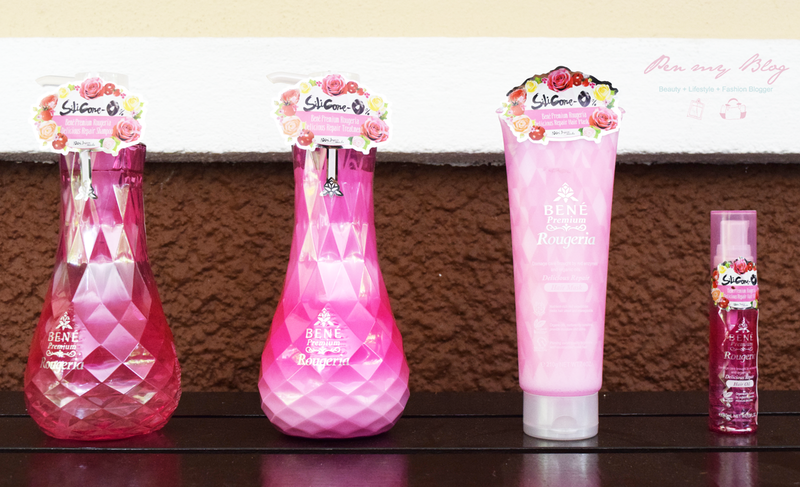 Quite recently there has been a social buzz about a new hair-care range that has come into town all the way from Japan; (you can read about the launch here) which is called the Benè Premium Hair Range. 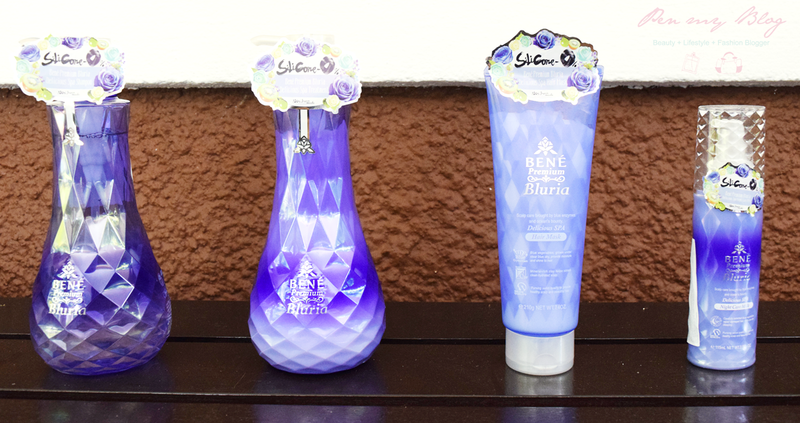 There were two collections launched within the range called Benè Premium Bluria and Benè Premium Rougeria. Now I have touched upon their products very lightly during the launch to give you a gist about what to expect but after trying the products for the past three weeks; I will be doing a more intensive review about what their products are all about. Not wanting to be much like the ordinary when it came to their packaging; the first thing to notice about this brand is of their well thought design. The composition for both the Bluria and Rougeria range is quite captivating; holding a crystal like consistency on each product model, giving a rather clear cut luminous effect to each of their ware. However in terms of formulation; one thing to note of is that both ranges adheres towards a Double Non Silicone aspect; which transforms hair to its original hair through cleansing all forms of impurities on the scalp from the roots to its tips. So with regards, breaking it down to the separate range, I decided to begin my routine with the Benè Premium Bluria Spa Range which targets more towards a well nourished and cleansed scalp. 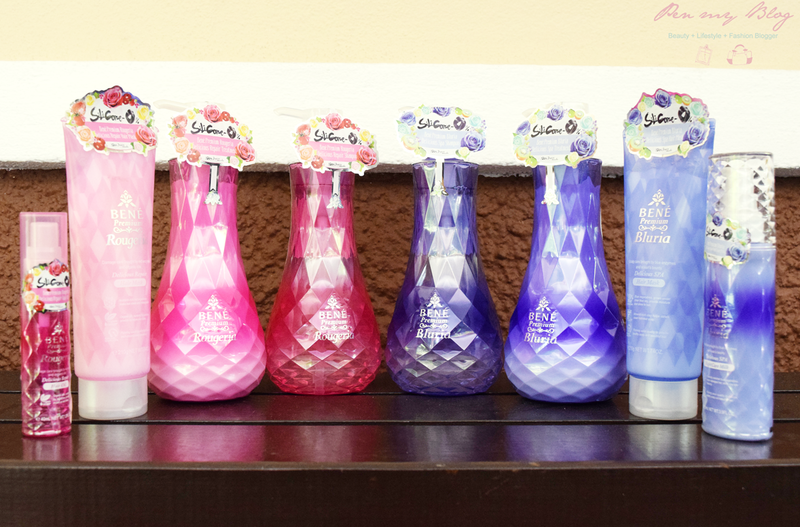 Going through the four products in its range, here is a review on each separate product to give you a better idea on what the range is all about. Description: "Rich in green vegetable enzymes that cleanses the scalp thoroughly and removes all traces of grease and impurities. Consists of ocean minerals that nourishes the hair follicles that revitalizes the scalp for shiny and healthy hair." Thoughts: The scent of this shampoo is amazing. It definitely does what it is suppose to do which is a great plus point and lathers on pretty easily to the hair. However if you would like to get your hair to shine and have that sleek glossy look; I would not recommend to use this solo; so it would be good to team it up with the rest in its range in order to get the best results. Description: "Cream based texture that is enriched with green vegetable enzymes that cares and nourishes the hair giving it a silky and supple touch." 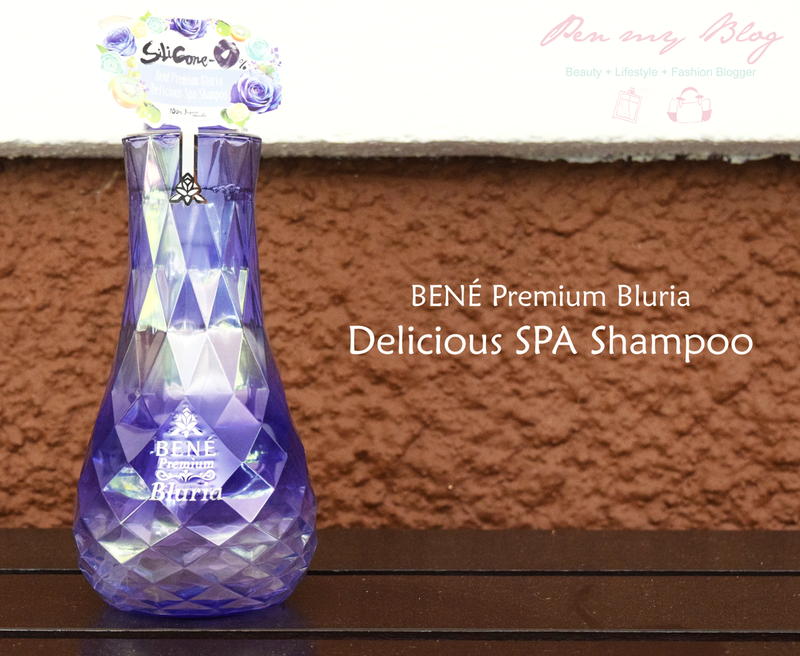 Thoughts: Definitely apply this after the Benè Premium Bluria Delicious SPA Shampoo. You would not really need much product and upon application, so apply it from your ends and massage it through. Try not to apply it intensively on the scalp though as it might cause your scalp to get oily, what with mixing it with the hair's natural oil. Description: "The healing power of green enzymes and herbal extracts that allows this cream-based hair mask to help repair and smooth damage hair. The mask delivers intensive hydration and adds shine to your crowning glory." 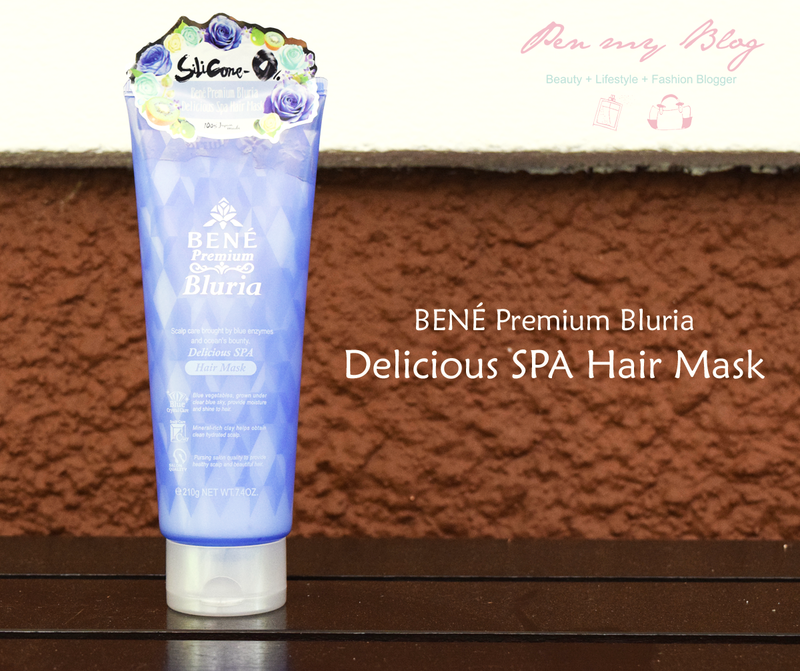 Thoughts: If your ends are splitting, you can apply the Benè Premium Bluria Delicious SPA Hair Mask from the middle part to the end parts of your hair. This Hair Mask will help reduce any form of frizz as well so for optimal results, try and use this twice a week. Description: "Enriched with green enzymes and herbal extracts which nourishes and repairs the hair as you sleep, this damage care milk delivers intensive hydration while adding shine to your mane." Thoughts: An absolutely wonderful product. It has creamy non-sticky quality to it that does not leave your hair stuck together after application and gives a great shine and scent that can last you throughout the day after applying it the night before. Best to not expect a complete restoration to the hair though as it does take time for it to work, so for optimal results, apply it at least three to four times a week. 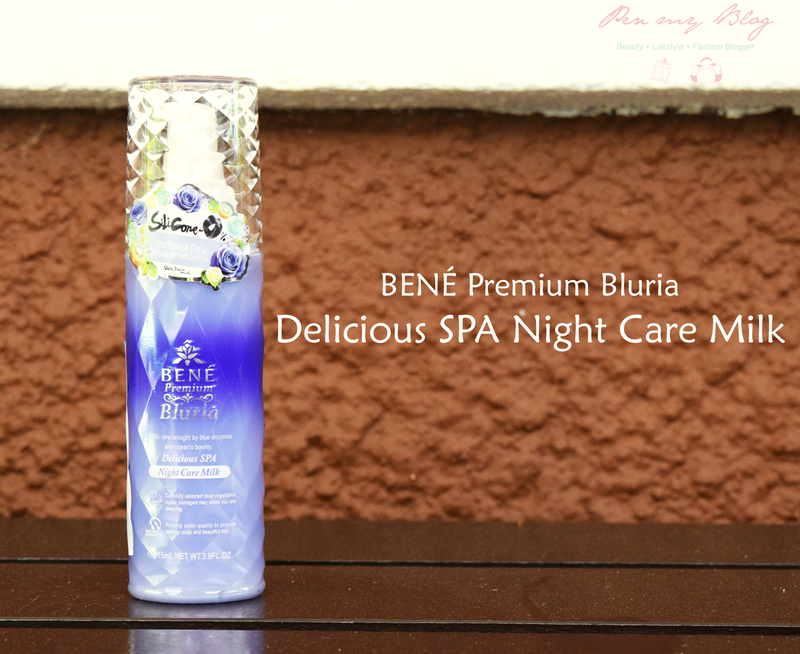 "Besides the shampoo and the cleansing spa treatment, the hair mask and the night care milk proved to be an absolute winner after the span of usage of one and a half weeks. It gave my hair the lustrous shine that was needed without it looking dry and mealy and helped tone down the frizziness at the ends of my hair." 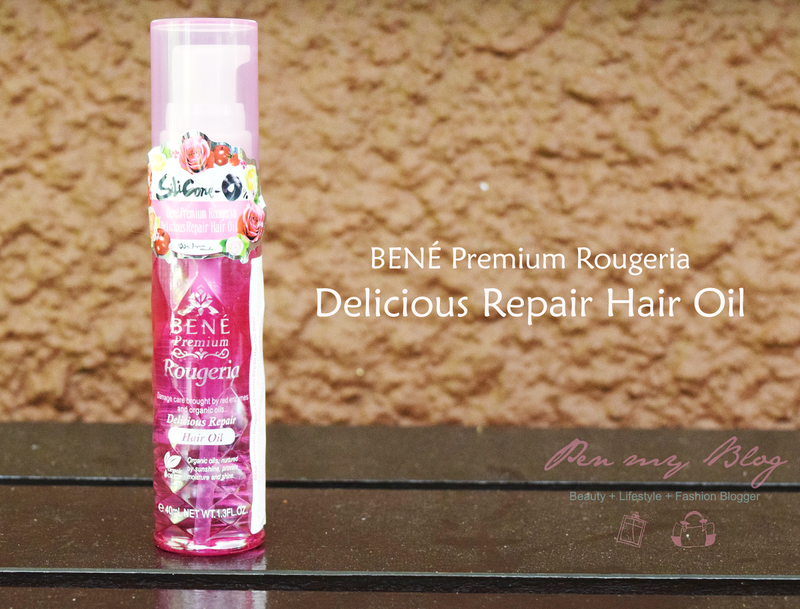 Now once the cleansing routine has been applied to the hair, I decided to switch range to Benè Premium Rougeria which give a more intensive moisture to rejuvenate damaged hair with the conditioning power of red enzymes and strong antioxidants. Plus with the hydrating power of a rare Bulgarian Damask rose and manuka honey, it will moisturize your hair deeply leaving tresses wonderfully healthy and shiny. Description:: Rich in red vegetable enzymes and organic oil that seal and smooth damaged hair, nourishing the scalp and hydrating the hair from the root to its ends. Thoughts: Richer in fragrance this shampoo does leave a rather stronger lingering scent than the Bluria range. Nonetheless, it is not overpowering and lathers in quite well to the hair, cleansing it and hydrating it at the same time. Description: Enriched with red vegetable enzymes that intensively cares and nourishes the hair while its hydrating ingredients leaves the hair silky and healthy. 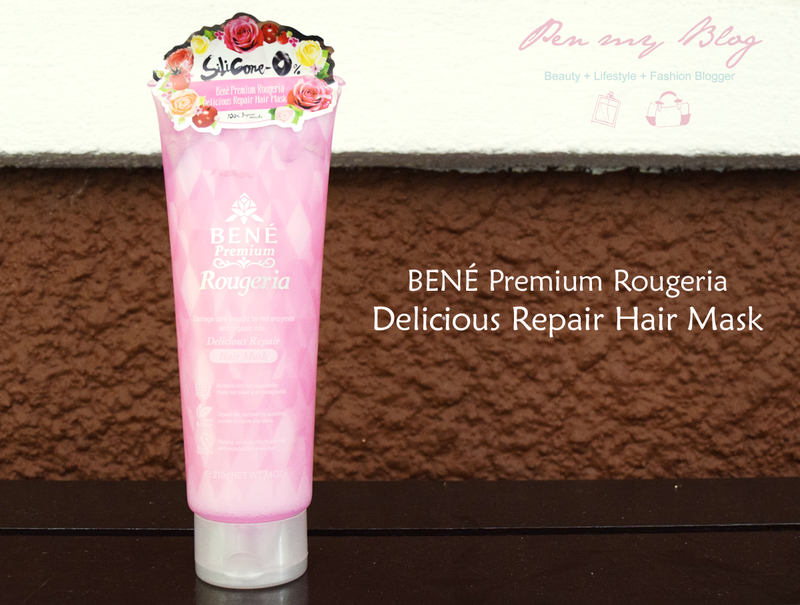 Thoughts: The Repair Treatment is quite lovely to use but as it does have thicker consistency than the shampoo, apply it from the middle part of your hair to your roots. Massage it gently at the ends to let the formulation soak in. 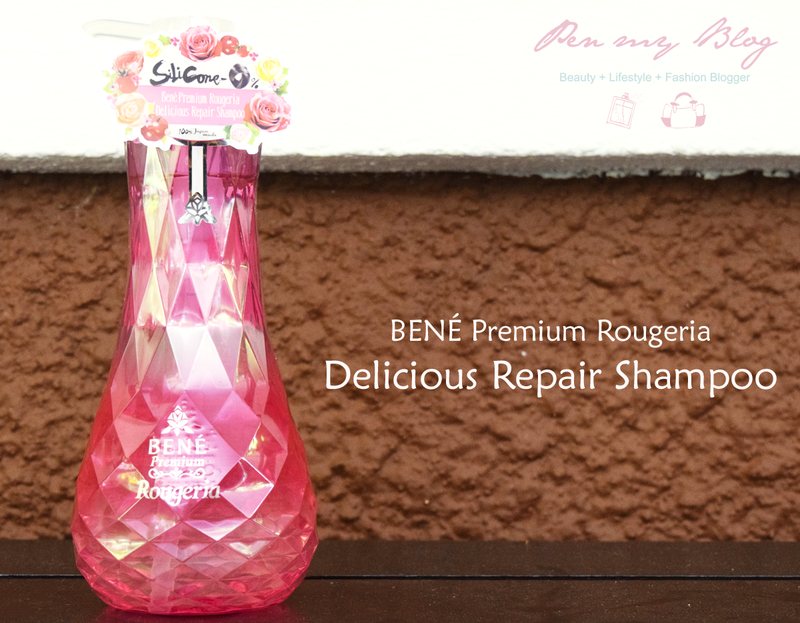 Description: The concentrated power of red enzymes and honey helps repair and smooth even the most damaged hair. 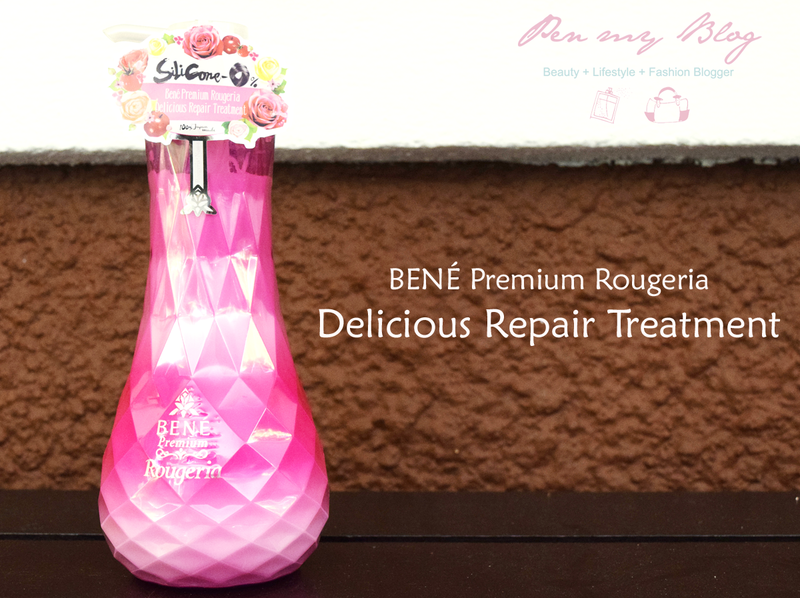 It restores hair from within and delivers intensive hydration which adds shine to the tresses. Thoughts: The Rougeria Hair Mask offers intense hydration to the hair and because of this, its creamier and thicker consistency needs to focus more on the ends where the frizziness and splits often happen. Recommended usage is up to three times a week but it you deal with oily hair, you can use twice. Description: With six types of natural organic oil, keratin and red enzymes, this repair oil penetrates the hair to provide deep conditioning and hydrating effects from root to tip. Leaves the hair smooth and shining with health. Thoughts: This Rougeria hair oil absorbs pretty easily to the tresses so it is best to use two to three pumps (depending on hair length) on towel-dried hair. A little trick to ensure that the formulation goes on evenly to the hair is that after application, take a thin comb and run through each section of your hair fairly. "This range is fantastic for those who are looking to invest something in the long term for damaged hair. The Hair Mask did a wonderful job in making my hair manageable and smooth, without the hassle of going through tangles or hair loss when styling it out." 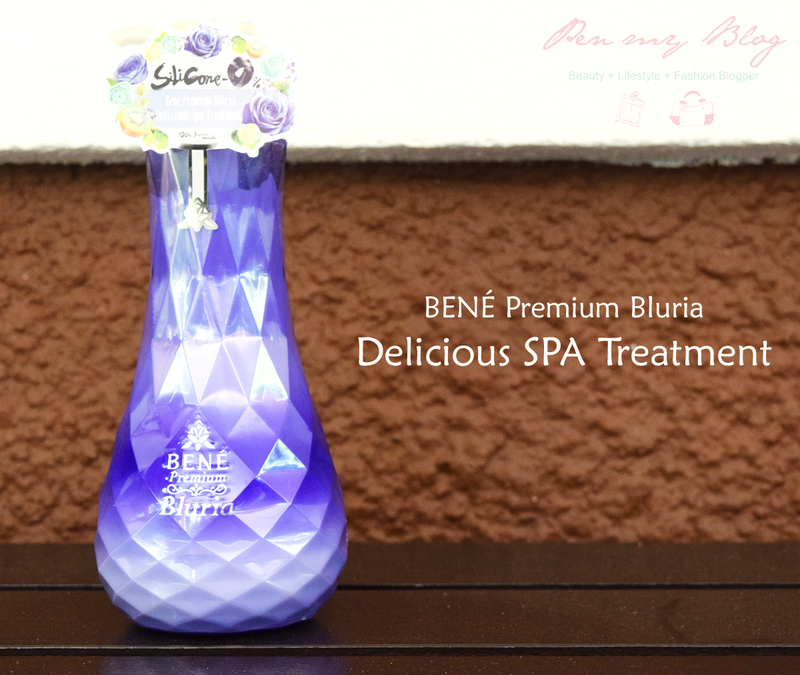 Exclusively made available in selected Watsons outlets nationwide, the Benè Premium Bluria and Rougeria are both wonderful ranges in its domain. Choosing the right range depends on preference of course but with its products made from natural ingredients that are silicone free, effective and made in Japan, the pricing comes in at a right range of both segments of its hair-care wares. For more information, kindly head on to Benè's Bluria and Rougeria Official Webpage or log on to their Official Facebook Page for further updates.